They’ve been popping up fun and LOADS of popcorn for 40 years now at this classic festival that celebrates one of America’s favorite treats. The Valparaiso Popcorn Festival will mark its four-decade milestone Saturday, September 8, with a full day of family-friendly events from 7 a.m. to 6:30 p.m. in an area that covers several blocks of the downtown. Some 50,000 people are expected to attend and spend the day enjoying the nation’s first Popcorn Parade, shopping for unique creations at more than 250 arts and crafts booths, and listening to bands and entertainers perform throughout the afternoon at the Porter Health Amphitheater before Soul Asylum and other bands take the Main Stage toward evening. Just about everyone strolling the streets seems to munching on popcorn. Stations around town give out free bagfuls, but do appreciate a small donation. Indiana’s own Chicagoland Popcorn, based in Merrillville, sponsors the festival. You can feast on their delicious treat at the Chicagoland Popcorn Area, as well as at popcorn stands around town. The award-winning company creates more than 200 flavors, from more tradition caramel and chocolate varieties to banana, bubble gum, and even pizza. You’ll also find vendors selling kettle corn in various spots. Many festival-goers are up and running early in the day in the five-mile Popcorn Panic run and walk. Kids get their own fun run with the Lil’l Kernel Puff Race. Children also love the ultimate Poppin’ Play Zone, filled with inflatable attractions and Toy Town for the younger kids. A highlight of the day is the morning Popcorn Parade, which definitely lives up to its name. Every float is required to be decorated in 20 percent popcorn or corn products, including such things as corn husks. Valparaiso Events helps out by starting to pop corn in August for float-makers to use in their decorating. The results will amaze you! The lively parade also features marching bands, church groups, sports, clubs, colleges and military organizations. After the parade, many festival-goers head for the William E. Urschel pavilion for food and beverages, the Beer Garden, and the Chicagoland Popcorn Area. 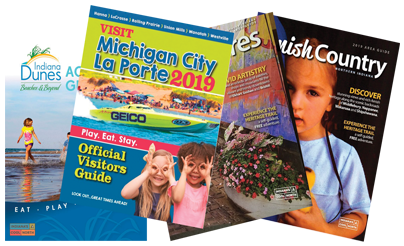 Plenty of local groups raise funds by selling delicious food, and outside vendors partner with Porter County nonprofits to share their food stand proceeds. It’s a win-win for festival-goers and local charities and causes alike. 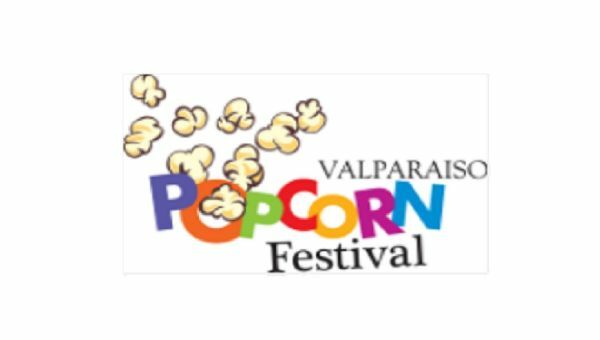 So head to Valparaiso for a day filled with fun, activity, music and food… and all the popcorn you can imagine. Admission to the festival is free.